You can find bao on every corner in Singapore, in cafes, street stalls, in restaurants and even at the 7/11. They are so hit and miss so it is refreshing to discover a stallwith homemade boa. For 70c a pop Uncle serves up a selection of bao including lotus paste and red bean. We had our hearts on the char siew bao . The buns were perfectly soft and fluffy, the char siew juicy making it the perfect marriage. So good we went back for seconds. The best bit was watching their nimble hands lovingly shape the boa and steaming it fresh. 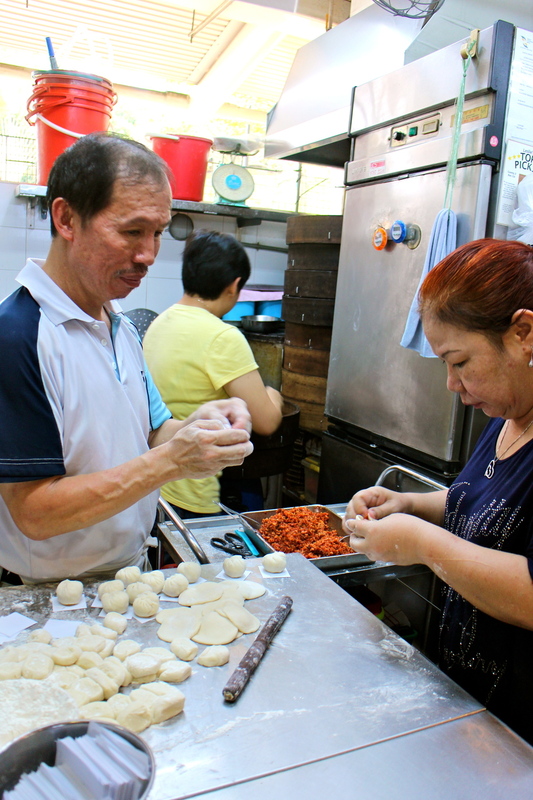 There is nothing like homemade boa so if you can find a stall making their own … eat there!